Don't have a prescription™ Don't like the price™ Why pay more for a complete mask! Save money and order just the parts you need without a prescription! 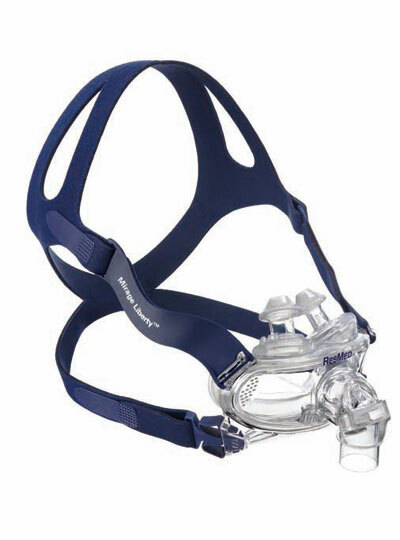 Click the link below for a complete line of replacement parts for the Liberty™ Full Face CPAP Mask. The Mirage Liberty™ full face mask offers comfort and freedom in a minimalist design that enables patients to read, wear glasses or watch television. It features dual-wall nasal pillows with trampoline action that move independently and adjust to various nasal contours for a comfortable and effective seal. 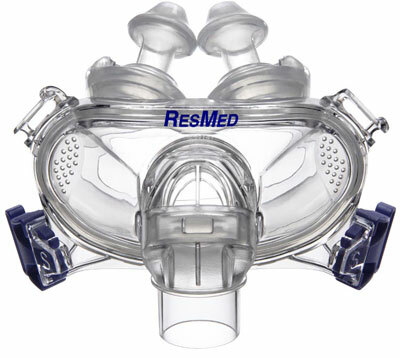 ResMed™s patented Mirage dual-wall mouth cushion creates a secure, flexible seal and accommodates jaw movement, eliminating the need for a chin strap. Additionally, the supportive headgear with stabilizing elements maintains its shape when removed, providing stability while the user sleeps. Each mask is shipped with three pillow sizes (small, medium and large). With a fit range of over 90%, the Mirage Liberty™ is a comfortable alternative to conventional full face masks. It's nice to not get ripped off when you need normal maintaince products. Just what I ordered, just what I needed! Items arrived very fast and were exactly as I had ordered. Will continue to do business here. Love the pillows. I switched from the comfort mask because it was crushing my nose and air kept leaking into my eyes every time I turned on my side. Would recommend not cinching the pillows too tightly to your nose. The pillows are flexible enough to take up the slack. Also, the customer service at this site was excellent! They asked me if I wanted to change my shipping to a cheaper option that would actually get the delivery to me faster. Thanks, BestCPAPprice.com!